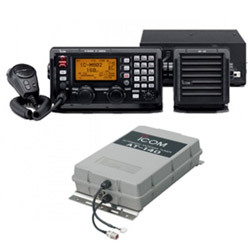 Get a FREE book, "ICOM IC-M802 - Starting From Scratch, Volume V" when you purchase a select ICOM M-802 SSB Marine Transceiver. (Item 050327 - A $49.99 Value!) Your FREE item will display in the Payment page of your cart. Click here for the M802 SSB, AT-140 and email Connecting Guide.